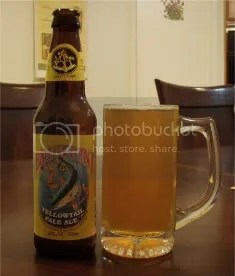 Yellowtail is a pale ale brewed in the Kolsch style (only beers brewed in Cologne, Germany can officially claim the “Kolsch” name). Kolschs are known for their hoppiness and for being top-fermented (a.k.a. lagered), and the Yellowtail Pale Ale fits the bill. The beer pours with a golden, straw color and a very slight head. However, the lacing is quite apparent and stays for a while. The nose gives off a cornmeal-type smell, with hidden hop notes. I couldn’t help but think of cornbread. The smell had me intrigued, I wonder how the beer is gonna taste! The beer taste just like the box suggests. The hops are there, the lager stylings are there, and a minor dryness is there. Although, the carbonation isn’t as apparent when looking at the Yellowtail, it comes through fantastically in the mouth feel. There is almost no bitterness that comes with some pale ales (maybe due to the Kolsch style of brewing?) and for this I’m glad. Very tasty. 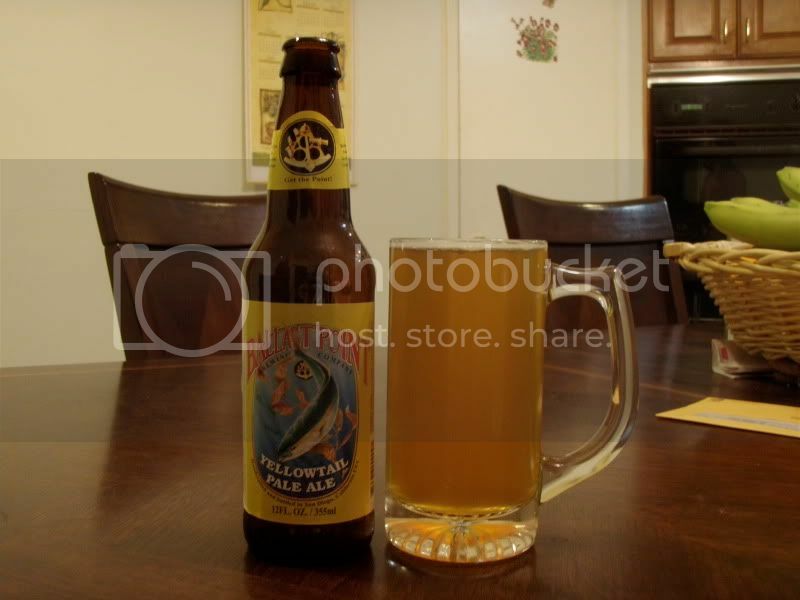 All in all, the Yellowtail Pale Ale is different from your normal pale ale, and that’s a good thing. I don’t see this becoming a session beer, but I imagine it would match magnificently with a lemon chicken or fish.